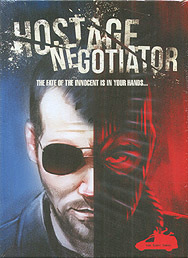 Hostage Negotiator is a solitaire card and dice game where you play the role of a hostage negotiator. You have the responsibility and the burden of negotiating with a hostile Abductor who has taker hostages. Use you wits to adapt to whatever the situation throws your way to save the hostages and win the game! In Hostage Negotiator you use Conversation Cards to carry out several conversations with the Adductor. You'll resolve cards by rolling dice and your success or failure largely depends on your ability to control the Abductor's Threat Level. In the meantime, you'll need to acquire more conversation points so that you can buy more cards. Above all, you must save the hostages! After each conversation you'll resolve a Terror Card making your objective even more difficult.